Microsoft Excel is a computer program that that is categorize as spreadsheet. It is developed by Microsoft Inc. and it was initially released on the 30th of September 1985. As of now it is part of Microsoft Office suite and also is available as a standard-alone paid software. As a spreadsheet program, it means that Excel work environment or know as Excel worksheet is made up of cells which are arranged into columns and rows, just like a typical spreadsheet paper looks like. Excel saved files is referred to as workbook, and each workbook can contain as many worksheet as you will need to arrange your data, so you do not need to create multiple workbook in order to organize your very large data, all that can be organized into one workbook. The Microsoft Excel or Excel or MS Excel in short is made to be compatible with Windows, macOS, Android and iOS devices. So You do not even need a PC, all you just need a browser or the Excel Mobile app. Help you auto-fill data as you enter them, because it can recognizes the patterns of your data. It can also help you helps you spot trends and patterns from the data you have entered using data bars, sparklines, color-coding, and icons. And implementing the PivotTable and chart feature of Excel, you can summarize and and illustrate your data. And the most important of them, you do not even need to stress yourself in remembering every computer spreadsheet formula, Excel can help you out in with them, when you need it. 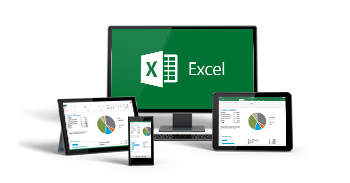 We at Pinfoltd uses Microsoft Excel and Excel is among the list of Program we are exploring, so stay turned to learn more on how to use the Excel program and also get tips and tricks to help save time when working with the Excel program.